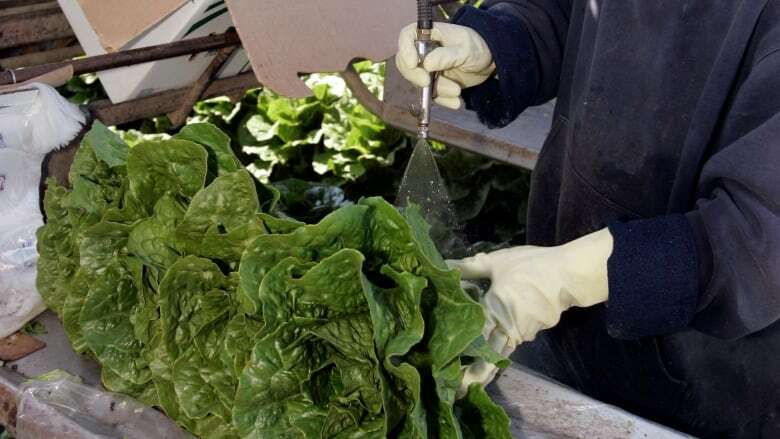 There are 18 confirmed cases of E. coli under investigation in Canada connected with romaine lettuce. Three are in Ontario and 15 in Quebec. Canada's three largest grocery chains have pulled all romaine lettuce products from their stores due to the threat of E. coli. On Wednesday, Stellarton, N.S.-headquartered Sobeys said more than 300 products containing the lettuce were being removed from shelves at Sobeys, Safeway, IGA, Thrifty Foods, Foodland, FreshCo and Lawton's Drug Stores, along with all Sobeys Inc. convenience stores in all provinces. Loblaw Companies Ltd., which owns 1,050 grocery stores nationwide as well as Shoppers Drug Mart and Pharmaprix locations, also announced it was recalling and removing romaine lettuce products. The corporation said customers can return those products to any of its stores for a full refund. Loblaw stores include Atlantic Superstore, Dominion stores, Maxi & Cie, Provigo, Real Canadian Superstore, Zehrs, T & T Supermarket, No Frills, Freshmart and SuperValu locations. Metro grocery stores, which operate in Ontario and Quebec, also pulled the lettuce from their shelves. The move comes as the Public Health Agency of Canada warns Canadians not to consume romaine lettuce products. According the agency, six people have been hospitalized after becoming sick. The strain of E. coli, known as O157, is reported to make people sick more often than other forms of the bacteria. Symptoms of E. coli illness include nausea, vomiting, headache, fever, severe stomach cramps and watery or bloody diarrhea. People usually get better within five to 10 days and there is no specific treatment apart from staying hydrated. The bacteria are naturally found in the intestines of farm animals. Contamination of vegetables and fruit can occur when they come in contact with animal feces. Most forms of the bacteria are harmless.